The town's name derives partially from the word valley and from Savara, the name of the creek that runs through the area. 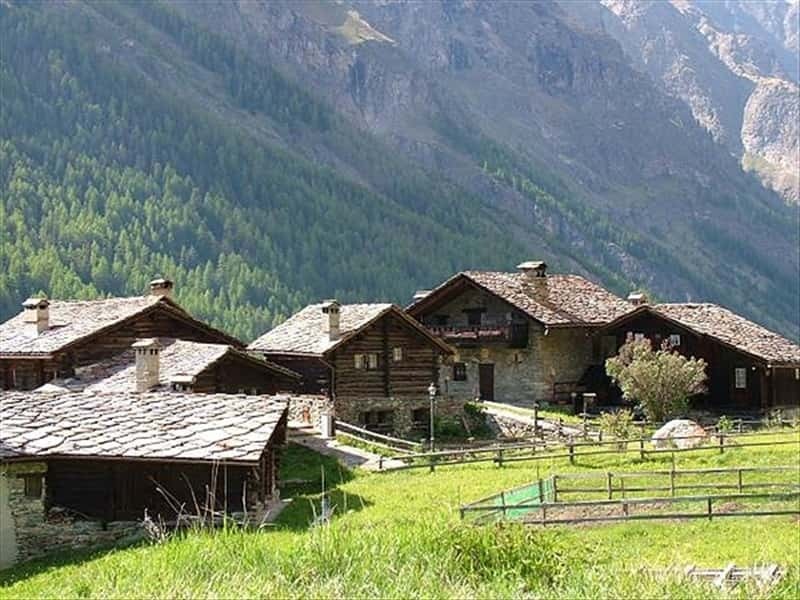 It is a mountain village located at over 1500 meters above sea level in a valley surrounded by mountains of the Gran Paradiso, which borders with the Piedmont valley of Soana. The area is characterized by numerous shelters, which are perfect departure points for exciting hikes, like the one to the summit of the Gran San Bernardo. It is the only town, of 13, to be fully included in the protected area of the Gran Paradiso National Park. There are pastures, numerous rivers and lakes, Alpine flora and fauna of rare beauty. The landscape of the area reveals a series of old forests and uncontaminated meadows, which offer to its visitors the possibility to discover the rhythms of nature, walking through the paths that lead to the top of the Gran Paradiso. The town is a international environment of ecotourism. The first historical document with reference to the valley dates back to medieval times: the territory belonged to the feud Chatel Argent de Villeneuve, a centre to which the town of Valsavarenche has always been linked, then to the Savoy. Umberto di Savoia rebuilt the old Carmelite church, originally built in 1888. In the second half of the XIX century, Vittorio Emanuele II created here the Reserve of the Royal Hunts and Valsavarenche became its capital. This drew significantly benefits to the local economy, until then linked to agriculture. The Church of Our Lady del Carmelo, in Neoclassical style, was built by King Umberto I and consecrated in 1889. It was built in place of the original building constructed in 1673 and where lied an earlier chapel dedicated to Notre Dame de la Fontaine . It preserves a window in which liturgical objects of value are exposed, including the gilded statue of Notre Dame de la Fontaine dating from the XIII century, and a Pieta of the XIV century. The sacristy houses a museum, where it is possible to admire the cleric ornaments and statues from the XVI to the XIX century, which belonged to the chapels of the area. The bell tower, dating from the XV century, built in stone and features a square base and mullioned windows. The Thematic Library Maison de la Montagne. The CentroVisita of the National Park. The Chapel in St. Sebastian and St. Roch in Degioz founded in 1630. The Chapel in Creton, founded in 1801, it was entitled to St. John the Evangelist. The Chapel in Tignet founded in 1675 and dedicated to Notre Dame de Tout Pouvoir. The Chapel in Fenille. The first building dates back to 1650 and was rebuilt and enlarged in 1689. It is dedicated to Notre Dame de Pitié and Santa Margherita. The Chapel in Bois of Rioulaz and Cline, dedicated to St. Francis and St. Urban, which was built around 1630. The Chapel in Molère, built around 1630, it was restored around 1840. The latest chapels of Pont, of the Rifugio Vittorio Emanuele II, of Bien and of Our Lady of Oropa in Creton of unknown date of construction. This town web page has been visited 15,107 times.